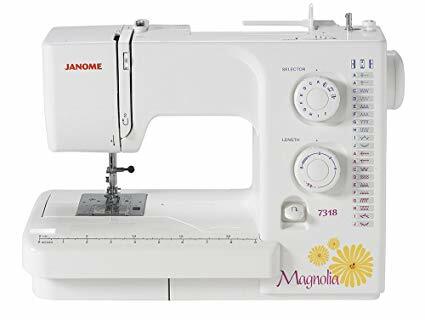 One of the models in a line of affordable machines for beginner sewers, the Janome Magnolia 7318 delivers the same precision and state of the art technology that you can expect from any Janome sewing machine. Smooth stitches, a drop feed system and a neat combination of utility and decorative stitches make this the ideal machine for all your projects from home décor and garment construction to quilting, crafting and free motion embroidery. Functionality: The aluminum cast body is sturdy enough to stand up to thick fabrics and multiple quilting layers and the more than adequate work space allows you to move your hands freely around the arm of the machine. 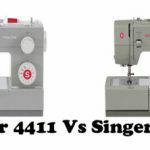 Stitch Features: This model is marketed as offering 18 built-in stitches but if, like other brands, you include the straight stitch left and the 4-step buttonhole into the total, it really has 21 built in stitches. Stitch selection as well as stitch length and width can be regulated using dials in front of the machine. The stitch length can be adjusted to up to 4 mm, width is adjustable to up to 5 mm and the needle position can be adjusted from the center to up to 5 settings to the left. User Friendly Features: The Magnolia 7318 comes with all the upgraded features that make the machine easy to use – top-loading drop-in bobbin system; see-through bobbin cover and horizontal top thread delivery. There is an automatic setting for thread tension, with the facility to adjust the tension for better stitch control. A conveniently located quick reverse button makes reverse sewing a snap. Free Arm Sewing: The extension arm is removable for free arm sewing for cuffs, sleeves and pant hems. Presser Feet: The 4 presser feet, general purpose, zipper, sliding buttonhole and blind hemming, can be adjusted to 3 height settings: normal, up and extra up. The extra up setting comes in very handy when sewing through several layers of think fabric. 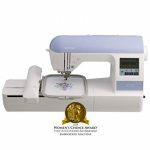 The Janome Magnolia 7318 is a solidly constructed machine that can handle heavy projects and thick fabrics quietly and without jumping around. A host of user friendly features on this Janome sewing machine makes for quick start up and easy sewing and smooth , precision stitching gives professional finish to all your projects. 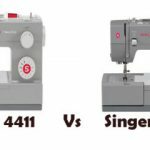 Many users like the fact that the thread cutter is located on the left of the machine where it is more convenient to swipe the thread through when they are done sewing. 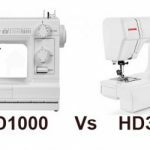 Not as many decorative stitches than other similarly priced models from competitor brands but it is capable of handling heavier projects and thicker layers of fabric without struggling so that more than makes up for the cost. The Janome Magnolia 7318 sewing machine combines the best qualities of an old fashioned sewing machine with the convenience of modern technology. 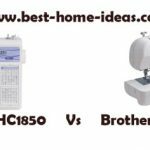 It is the perfect option for anybody looking for an uncomplicated sewing machine that will work day in and day out without a hiccup.